The herb is strong with this one. 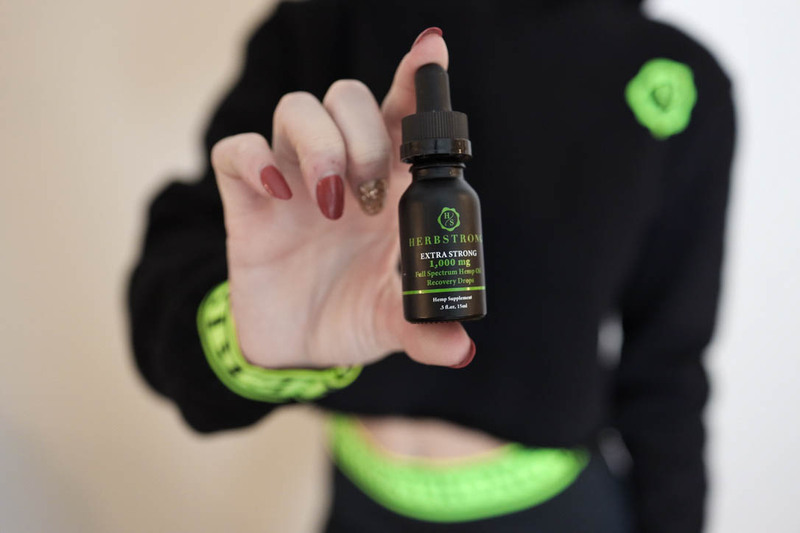 Herbstrong uses Industrial Hemp to make a full line of Full Spectrum Hemp Oil products whose CBD concentrations have been shown to help in a wide variety of recovery efforts. Herbstrong believes people seeking relief from physical pain or mild anxiety, those struggling to relax or sleep, and those with sore muscles from a grueling workout or unexpected day of manual labor (ahem, shoveling snow) can benefit from a Full Spectrum Hemp Oil supplement. 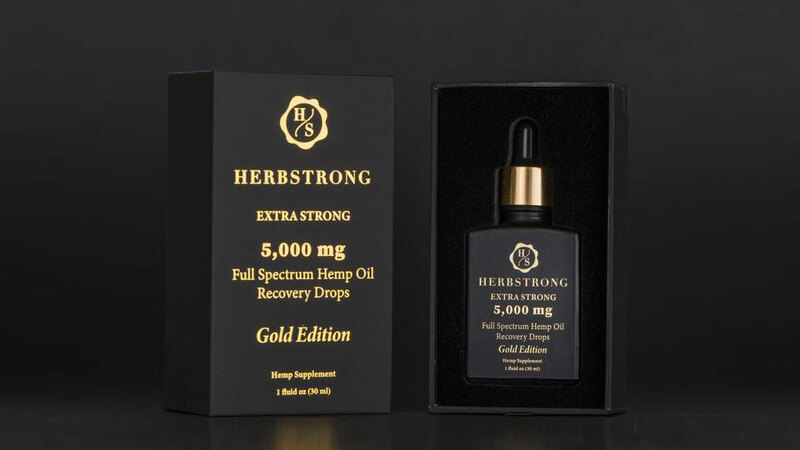 Herbstrong's touchstone products are its Full Spectrum Recovery Drops, available in 1000mg Extra Strong ($65) as well as a Silver Edition 3000mg ($190) and Gold Edition 5000mg ($320) dosage. The 1000mg vial contains 0.5 ounces of oil for those seeking relief, recovery, and relaxation down to the bone. Each drop has around 4mg of CBD. On the other end of the (full) spectrum (hemp) Herbstrong's Gold Edition is a 1-ounce bottle with more concentrated CBD - each drop contains approximately 10mg of Full Spectrum Hemp Oil. All of the Herbstrong oils are also infused in MCT oil. 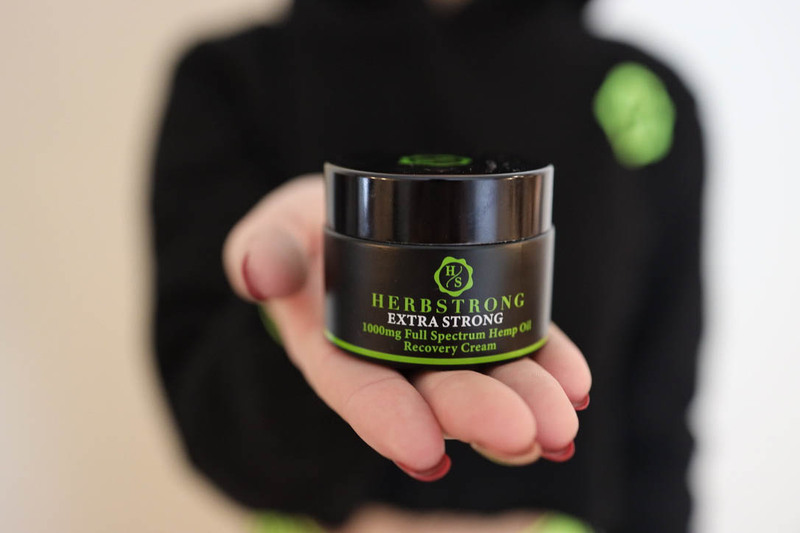 Herbstrong also produces Full Spectrum Recovery topical cream, vape cartridges, and CBD oil drops designed especially to ease the aches and pains of your pooch. Uh, that's your dog, not your belly. Click here to check out the complete Herbstrong Full Spectrum Hemp Oil Recovery Collection. Dude readers can also enjoy 15% off their entire order using the coupon code DUDE15 at checkout.